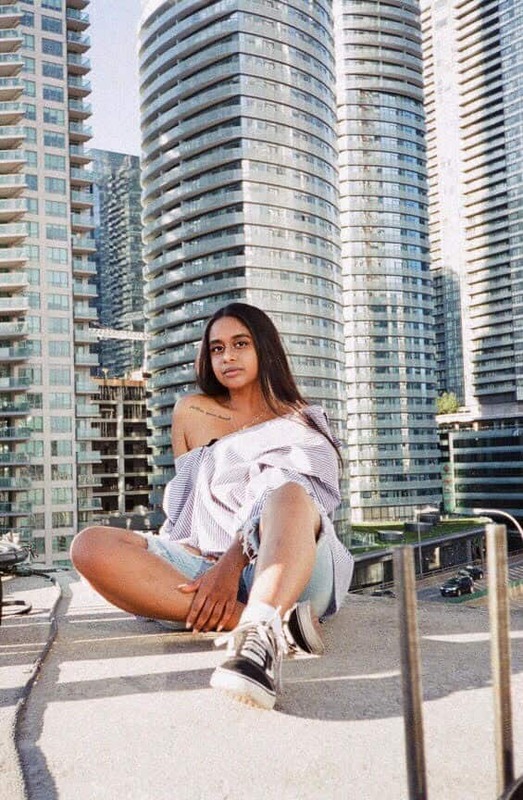 Nineteen-year-old singer and producer Shanuka Sai is one of the most extraordinary talents to emerge on the Toronto scene in recent memory. Seriously, we can’t stop listening. 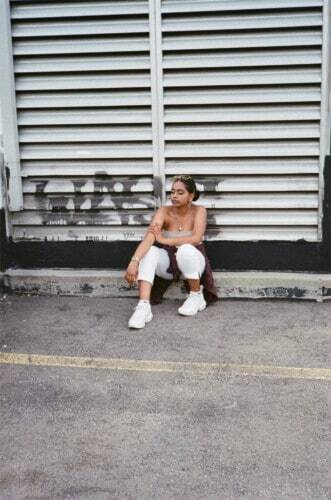 Her moody, melodic tracks are steeped in soulful introspection and depth. Plus, the woman has some serious pipes. SS: I feel most content and at ease being in the comfort of my own home; especially after a long day of work or even being out with friends. Sometimes it is just so relaxing to be home, make a cup of tea, and chill in my pyjamas. Spicy salmon rolls. The absolute best! A show that has recently wowed me is You on Netflix. I wasn’t interested in starting it, but I did anyways and I don’t regret it. It makes my jaw drop to the ground. I recommend it. What Toronto spaces / places do you truly love? I truly love going to Kensington Market and Harbourfront. Kensington Market because it is so diverse and has many great shops to check out. Even the alleyways in Kensington are covered in art and beauty. Harbourfront because it is so relaxing to just sit near the water, be able to see the CN Tower and be surrounded by all different types of culture. I am dying to see Mickalene Thomas: Femmes Noires. It is an exhibit that showcases how black women are represented in popular culture with paintings, photographs, etc. It has been open at the AGO for a while now, but my goal is to check it out before it ends on March 24th. I find a place where I can be alone and take deep breaths in and out. As cliché as it may sound, it really helps me get back to a calm state of mind, especially when I feel very anxious. Five things I would want (realistically speaking) are my phone (even though it’ll eventually die), a lighter, a sweater, my glasses (because my vision is terrible) and a friend that would make the whole experience a little less awful. Going to the park with my family and having my dad push me really high on the swings. I remember always feeling so liberated in those moments. It was something about being able to get closer to the sky. My dad has passed away now, but small memories like that always bring a smile to my face. Everything happens for a reason. There is a purpose to every situation we encounter, even if in that moment it feels unfair. Another cliché saying, but this philosophy has helped me accept and even appreciate bad things that happen in my life. I’m trying to have a more positive mindset, and the way you handle things really makes a difference on how you live your day-to-day life. Being organized. I have a lot going on in my mind, my body, and my life overall that it would be much easier for me to handle situations if I were to simply write things down in a notebook and/or calendar. This would also allow me to be less stressed and not be as last-minute as I can be. Do not invest time, effort, and energy into something you are not passionate about. Oversized t-shirts and sweaters as well as baggy pants. I feel most me when I am comfortable. I’ve held onto this scrapbook I got many years ago. It is a little torn apart, but every time I look at each page in the book, it brings me back to my childhood, which is when I was most happy and content. PTSD and how it literally changes the way one’s brain develops/functions. Trauma lives with people forever and is NOT easy to move past. I would like more people to educate themselves and understand why it is not okay to say things like, “Let go of your past” or “Move on.” If it were that simple, life would be much easier. I am focused on teaching the ignorant to become open-minded and think before they speak. Anything can trigger someone and take them back to a moment that has deeply affected them. Be considerate of others’ feelings, please! When you compare yourself now to where you were at ten years ago, what’s a major change you can identify / feel proud of? A major change I can identify is being more open minded and accepting of new ideas, whether I understand them or not. I am going to be twenty years old next month so ten years ago I was a child. I definitely remember being a little bit judgmental and ignorant, but growing up and experiencing my own serious issues has allowed me to be able to comprehend others’ problems/situations even if I cannot relate. I am proud of this because people always reach out to me and ask for my advice, and I try to help them as best as I can. I am humbled that people feel comfortable talking and being vulnerable with me. My goal for 2019 is to GET OUT OF MY COMFORT ZONE! I want to do things out of the ordinary, out of the box, work with new people, create more music! Listen to Shanuka on Soundcloud, Spotify and Apple Music.